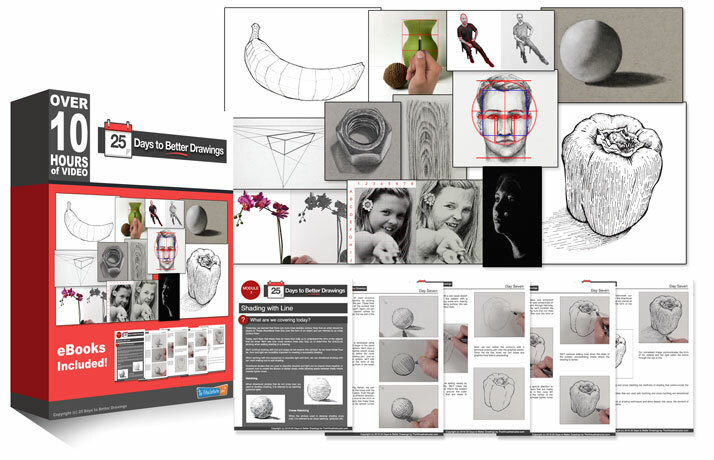 Description: Learn how to create the illusion of texture in a drawing by combining shapes of value with directional stroking. Suggested Materials: Graphite drawing pencils: H, HB, and 2B, white drawing paper, blending stump, and a kneaded eraser. Tks. Extremely valuable lesson practically and philosophically. You can always try a rougher paper. We all have different approaches and that’s always okay. Some may find that a smoother surface gives them more control over the texture, while others may prefer to rely more on the tooth to create the impression of visual texture. hard hard for me to get the illusion of texture. I definitely learned about shine by getting shine 😐 I know I learned but the result is less competent than other lessons.